The United States Senate passed its version of the tax reform bill early Saturday morning. The next step is expected be action to harmonize the Senate and House versions in conference committee. The House will reconvene today to begin that process. Republican leadership has stated the goal is to complete the process before the Christmas break. Like all major legislation, there are good things and troubling ones. Now is the time to review the facts, and reach out to our Congressional Delegation to let them know what YOU think. Below are some of the items AZBio will be contacting our delegation about. The House version of the bill repeals the Orphan Drug Tax Credit entirely, and the Senate version of the bill weakens the provision significantly – essentially cutting it in half and limiting those who would qualify for it. To support life saving innovation and the patients who need it, it is essential to maintain the Orphan Drug Tax Credit in any tax reform legislation. Currently, for people who itemize deductions, they can deduct qualifying medical expenses which exceed 10% of their adjusted gross income (AGI). Under the House bill, the medical expense deduction would be eliminated. Under the Senate bill, the medical expense deduction would remain in place with a lower floor of 7.5% for tax years 2017 and 2018. Patients experiencing significant medical challenges need our support as they face these challenges. If the standard deduction is not sufficient to address this situation, patients need the ability to itemize these expenses. While the House repealed the AMT, the Senate version maintains it. If the AMT continues and is set at 20% while the AMT remains at 20%, I could negate the benefit of the R&D Tax Credit. This is an identified challenge that is expected to be addressed in some way as it could have a negative impact on innovation investments. Neither the House version of the bill or the Senate version addresses the fact that the suspension of the Medical Device Tax ends this year. AZBio and our partners around the country are working to address this challenge as part of another vehicle before year end. Tickets are going fast for Trailblazers. 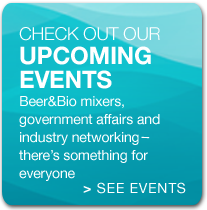 Save Big When You Are Ready to Register for BIO 2018 in Boston.As a valued member of a state biotech association, we’re offering you the opportunity to lock in a significant discount on two premier BIO 2018 registration packages: Convention Access and Convention Access & Partnering. Registration is not required at this point. By signing up, you are locking in the discount. Simply complete the form, and you will be sent your discount code prior to registration opening in January. It’s that easy! Check out career opportunities with Critical Path Institute and Systems Imagination (Internship). 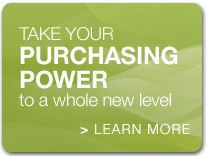 AZBio Members saved over $3 Million via AZBio Purchasing Power in 2016. 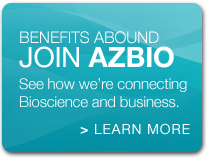 Download the 2018 AZBio Prospectus to learn more. Copyright © 2017 AZBio. All rights reserved.